This is about how Super Switch works. 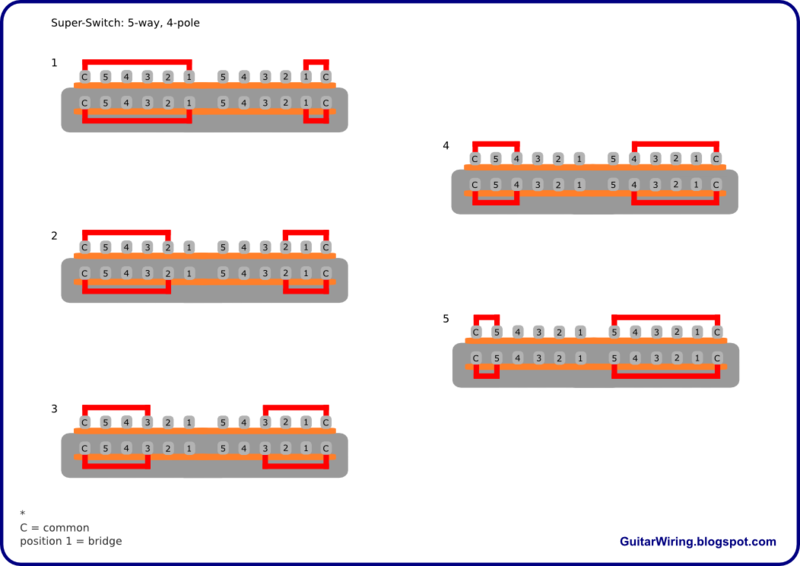 The diagram shows terminal connections and pin-out. It's a 5-way, 4-pole, lever-action guitar pickup selector. If you will use a Super Switch in your axe, you will get 4 poles, where every lever position has got its own pin (5 + 1 common per pole). If your guitar has got 2 or 3 pickups, you will get more than you need for just typical 5-way selector wiring. You will get a possibility to make some extra connections. 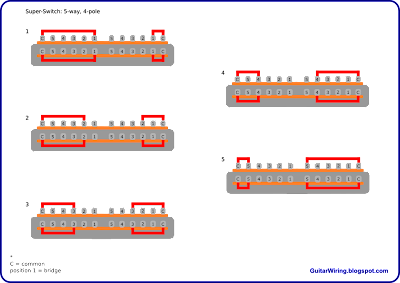 For example, with a super-switch, you can make a Stratocaster wiring with the bridge+neck position, or some coil split – if you have a 4-wire humbucker. There's a lot of options.